- A 6-0 start to a road trip for the Brewers? Insane... The Brewers now have a winning record on the road this season. - They're going for a four-game sweep of the Cardinals in St. Louis with Sheets on the mound tomorrow. It's a HUGE series win already. A win tomorrow would make it epic. - Maybe CC stands for carbon copy. That's three complete-game gems in a row for our big lefty and he's been completely dominating. He's 4-0 with a 1.36 ERA since joining the team. Tonight's effort was a three-hit shutout. Is there any doubt he was worth the price? - Hopefully CC stands for Cub Clubber on Monday. The Cubs managed to get a win in Arizona tonight. They remain just a game ahead of the Crew. - The top of the batting order continues to produce. Weeks had three hits, Hardy had two hits (including a home run) and Braun had four hits (including a home run and a triple). They each chipped in one of the three RBIs. - The Fox Sports guys talk about the Brewers. "If the Braves don't win the wild card, the Brewers will." - All the fans that booed Hall earlier this season (and even those that didn't) should give the man a standing ovation when he comes up to bat for the first time on Friday at Miller Park. He's turned things around (apparently because of magic Skoal) and could be a big part of the team's success down the stretch. - Brew Crew Ball interviews Cole Gillespie. Gillespie is being a little overshadowed in Huntsville, but the outfield prospect is having a really nice season. - Bernie's Crew profiles pitching prospect Mike Ramlow. - The Brewers pitching has been good. I like it. - Gagne is taking over the set-up role. Hopefully he does better than he did as the closer and Mota did as the set-up man... Luckily, it appears we don't need any relievers every fifth day. - Nicole at Cute Sports details the pub the Brewers got in the latest ESPN mag. - Al at Al's Ramblings says the Brewers could go after an Orioles reliever, and not George Sherrill. He says they could be interested in Chad Bradford or Jamie Walker and neither should cost too much. - Turnbow was placed on the AAA disabled list. It has not been Derrick's year... And this latest setback happened after D-Bow had started to turn it around a little bit with Nashville. - Hardy failed a drug test. Not that Hardy... Sorry, couldn't resist... I did a double-take when I saw the headline at first too. - Anthony Witrado has a mailbag. - Soriano is back with the Cubs. - Bartman has been offered $25,000 for one autograph. Bartman would probably pay that ten times over for everyone to just leave him alone. That said, I still think that play and Cubs fans reactions to it are freakin' hilarious. - After making a mind-boggling trade for Randy Wolf, the Astros have fallen into last place in the Central. Houston's management appears to be completely clueless and I don't expect the Astros to compete anytime soon. - Does anyone understand why the Astros traded for Wolf? "I'd really be disappointed if they made a trade for me. I feel like honestly if you trade me, you're going ahead and saying we're not going to build a winning team here. Of the four starters who have been here all year, I think all of us have a chance to pitch here for a long time, health-wise and age-wise. If you go ahead and trade me out now, you're cashing in the money for a losing team." Can someone tell Arroyo he's 31 and has a 5.71 ERA? He's probably not going to be a part of any winning formula and the only reason he won't get traded is because he's a bottom-of-the-order starter who is owed $25 million over the next two years. - The Reds may be buyers though, apparently. They're reportedly looking into acquiring Huston Street. Anyone else glad we didn't lock up CoCo to that long-term deal? 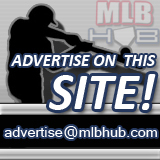 - MLB Trade Rumors has a really nice write up on MLB free agent compensation. Awesome, awesome work last night by CC. I will say it again, he throws a ridiculously efficient game and has some sick stuff in his repetoire. What did he throw - 101 pitches? In a complete game. Unreal. As mentioned, looking for the sweep tonight, but of course the Cards announcers (I had the FSN Midwest feed) kept reminding viewers that Sheets is 5-14 in 24 starts against the Cards. Doesn't phase me though. What was with Prince getting hit twice last night? WTF?? Outside of Sheets (and of course CC), Bill Hall is my favorite Brewer. Magic Skoal. HAHAHAHAHA!! My favorite at-bat last night was when Pujols threw his bat down the third base line. I actually laughed pretty hard. I need some of that Magic Skoal! Although I know it would just make me dizzy and throw up. Bill Hall is a man. So did Jenks' bat stab him in the shoulder? I couldn't make out what happened on the clip. Any insight? I think the the force of the swing kept the barrel swinging after the bat broke and swung around and hit him in the back of the head/neck area. It doesn't look like much but those guys generate more bat speed than what we see with our eyes. Jenk is a tough guy so you know it had to hurt. Report: Durham, Others to the Brewers?